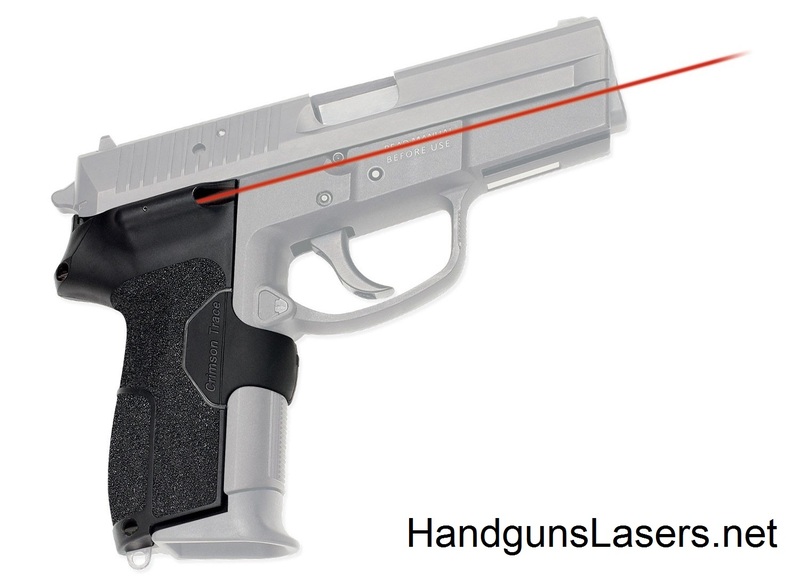 Summary: The description, photo, pricing and user ratings for the Crimson Trace Lasergrips SIG Sauer Pro laser sight. The Crimson Trace Lasergrips SIG Sauer Pro is a polymer, grip-replacement laser sight with a rubber overmold wraparound (activation pad) for Sig Pro SP2022 model pistols. a .5″ dot at 50′. Crimson Trace says this laser is factory sighted at 50′. You can adjust it for windage and elevation, and install it yourself. The laser is backed by a three-year warranty, and an added promise of batteries for life. This entry was posted in $251-$300, $301-$350, Crimson Trace, Grip, Red, SIG Sauer on October 10, 2013 by Briley Kenney.